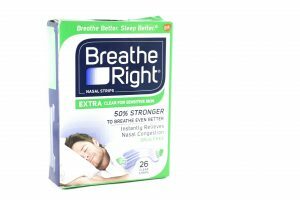 Does Theravent Work to Prevent Snoring? A proven snoring aid. For those of you suffering from snoring, Theravent™ Advanced Nightly Snore Therapy is here to offer you relief. As far as snoring aids go, Theravent requires no mouthpieces, no machines and no medications, just a simple adhesive device. Using revolutionary treatment, your own breathing can be used to reduce snoring resulting in a better night’s sleep without a prescription. Around 30% of people aged 30 years and above suffer from snoring. Two-thirds of all partnered adults report their partner snores at night. Snoring can cause disruptions to both you and your partner’s sleep – leading to sleepiness throughout the day. Sleep helps keep you in good physical and mental health. Ongoing sleep deficiencies are correlated with higher risks of heart disease, kidney disease, diabetes, and stroke. The primary cause of snoring are vibrations in the airway. For some people, their throat closes partially during sleep, causing air to travel through more quickly. This leads to vibrations in the throat known as snoring. The narrower the pathway is, the greater the vibration and the louder the snoring is. In some instances, the throat collapses completely leading to apnea – the cessation of breathing. Sleep apnea is a serious condition that requires medical attention. Theravent is not approved for treatment of obstructive sleep apnea. Other factors such as age, drinking alcohol, sleeping pill usage and, being overweight can influence snoring activity. Theravent consists of MicroValve Technology similar to Ventus Medical’s prescription-only Provent Sleep Apnea Therapy. The technology is used to create a pressure difference within the throat. A simple adhesive device is placed over the nostrils. Breathing in causes the Microvalve Technology to open, allowing the user to breathe normally. As the user breathes out, a pressure difference is created to open the airway and prevent the vibrations that lead to snoring. Theravent is a lower resistance version of Provent. How Could it Help Stop Snoring? An expiratory positive airway pressure (EPAP) is created using the power of your own breathing. EPAP is a pressure that stabilizes the upper airway during exhalation – allowing the airway to remain open. EPAP differs from continuous positive airway pressure (CPAP) by using your own breath, instead of forcing air into the throat which could lead to discomfort. EPAP is a gentle and natural alternative. Theravent is FDA-approved to either reduce or eliminate snoring. During clinical trials, 79% of bed partners reported that Theravent reduced their partner’s snoring. The study also found the reduction of snoring to be 5 times that of nasal strips. 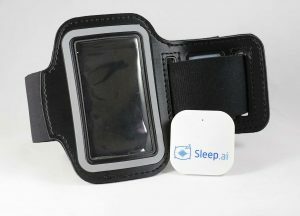 MicroValva Technology has been shown effective in over 15 clinical trials and has been used for nearly two million nights of sleep. Theravent Lite is designed for light-snorers. Half the EPAP resistance is available, with the same design and comfort for eliminating snoring. Theravent Regular is designed for moderate snorers. Some people find this pressure to be uncomfortable, which led to the development of Theravent Lite. Theravent Max is for loud, heavy snorers. Theravent Max uses twice the amount of EPAP resistance available in the Theravent Regular. Theravent Max has been shown to have a 73% reduction in snoring, and 89% of partners have reported a reduction in their bed partner’s snoring. Adjustment Period: There is an initial learning curve when starting Theravent, and it can take several days for the user to be able to sleep comfortably. Difficulty Breathing Out: Breathing out will be harder when you initially begin, but it is important to keep in mind the fact that breathing in more makes it difficult to breathe out. Ineffective for mouth-breathers: If you strictly breathe with your mouth, you will bypass how Theravent works. Some people add chinstraps to their regiment. However, 95% of humans breathe through their nose. Sleeping on your side can also prevent mouth-breathing. Application: The nose should be washed and dried completely to remove oils and lotions from the skin. A large surface area is needed to apply the device. A good seal of the nose is required and the base of the nose where people typically lack a good seal. Theravent appears to be a safe, over-the-counter snoring aid for chronic snorers. If snoring is reducing the overall quality of you or your partner’s sleep, Theravent offers a shown solution. While supplies last, Theravent is offering a trial pack for $9.99. The trial pack offers two nights of Theravent Lite, Regular, and Max. For those interested in pursuing other options, there are several snoring prevention devices available on the market. Seeking treatment for snoring is important. Snoring can lead to complications such as stroke and nocturia; a condition that can lead to a loss of bladder control for some people. Once again, Theravent is not approved for treating sleep apnea and is not recommended.